LOS ANGELES – (RealEstateRama) — A longtime fugitive was named today in a nine-count indictment that alleges he participated in a $9 million loan fraud scheme that targeted Wells Fargo Bank. Napoleon Olarte, 40, who is believed to be in Venezuela after fleeing the United States approximately eight years ago, was indicted late this afternoon by a federal grand jury. The indictment alleges that Olarte carried out the mortgage fraud scheme with two co-conspirators – Juan Jose Calle and Nancy Karina Coleman – both of whom previously pleaded guilty to charges related to the scheme. Olarte and his co-conspirators allegedly defrauded Wells Fargo Bank, where Coleman worked as a mortgage consultant. Olarte and Calle allegedly ran a rogue brokerage and escrow company in Northridge called Fast Escrow. Olarte resided in Reseda at the time of the alleged scheme. According to court documents, Coleman accepted bribes and other favors in exchange for approving approximately $9 million in fraudulent loans for Olarte and Calle. The indictment alleges that Olarte submitted fraudulent loan applications to Wells Fargo that listed false information for borrowers’ income, assets and employment. In relation to some loans financed by Wells Fargo, Olarte and Calle allegedly failed to pay off existing loan holders and failed to record liens in favor of Wells Fargo, leaving the bank with no collateral when the loans defaulted. The indictment charges Olarte with one count of conspiracy, six counts of bank fraud, and two counts of making false statements to a financial institution. If he were to be convicted in this case, Olarte would face a statutory maximum sentence of 30 years in federal prison for each of the nine counts. Previously, Calle pleaded guilty to wire fraud, and Coleman pleaded guilty to conspiracy to make false statements to a financial institution. Federal authorities believe that Olarte is currently residing in Venezuela. Anyone with information about his whereabouts should contact the Federal Bureau of Investigation at (310) 477-6565. 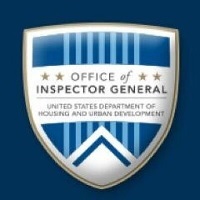 The case against Olarte is the result of an investigation by the Federal Bureau of Investigation, and the United States Department of Housing and Urban Development’s Office of Inspector General. The case against Olarte is being prosecuted by Assistant United States Attorney Kerry L. Quinn of the Major Frauds Section.